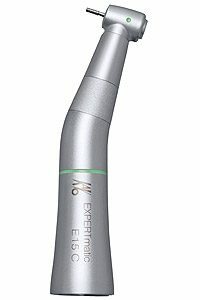 KaVo dental turbines – in daily use worldwide. Made for your hand: Each KaVo turbine is the result of extensive ergonomic and anatomical studies with consistent dimensions, angles and contours for balanced handling. 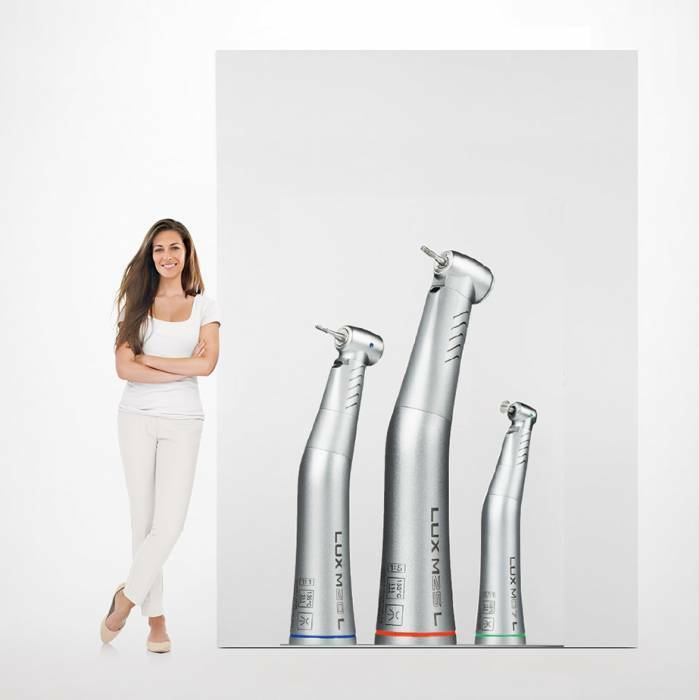 The KaVo dental turbines compared: Each product line – in a class by itself! Rapid stop – for safety. The new Direct Stop Technology (DST) reduces the stopping time of KaVo’s dental turbine MASTERtorque by approx. 60 % and stops in only one second. Best conditions for completely safe and relaxed work. Dental Technology: bur stops in one second: Innovative Direct Stop Technology stops the bur in one second and thus ensures increased safety during treatments through the active brake system. 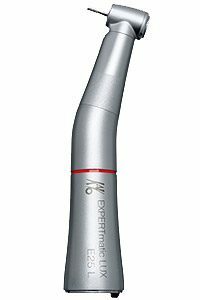 Power Output: By optimising all components and materials in dental technology, power of the KaVo MASTERtorque has been increased to 23 watts. Head size: Precision in dental technology thanks to freedom. Combined with the optimal angle combination and excellent performance of GENTLEsilence, precise preparation work is assured thanks to the compact casing of its head. The total height of 20,0 mm of the new MASTERtorque, including the 19 mm bur, sets new standards in compactness and aesthetics. Excellent visibility: Preparation areas optimally visible in spray mode, light and spray nozzles are at the MASTERtorque dental turbine offset. Micro water filter: Completely reliable. The replaceable micro water filter in the spray channel guarantees permanently effective and disruption-free spray cooling. 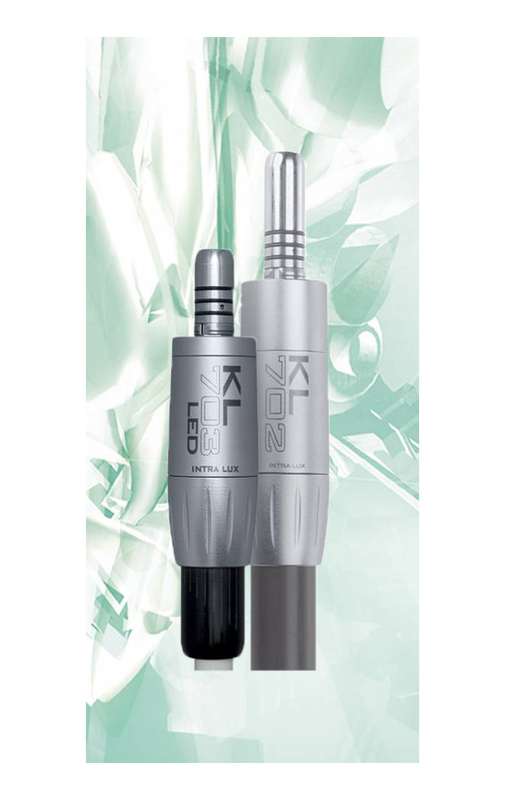 Ease of use: Reliable and handy; with a retention power of 30 Newton, the KaVo pushbutton chuck system holds the bur securely in place, thereby facilitating complete ease of use. MULTIflex coupling: Complete compatibility. MASTERtorque is compatible with all couplings of the KaVo MULTIflex systems, which means that it can be used with any treatment unit. Light: A perfect view. With 25,000 LUX, the glass rod fibre-optic bundle of MASTERtorque LUX Turbine M9000 L illuminates the preparation area perfectly – with not a shadow to be seen. Direct Stop Technology: Non-return valves: Hygienic Head. 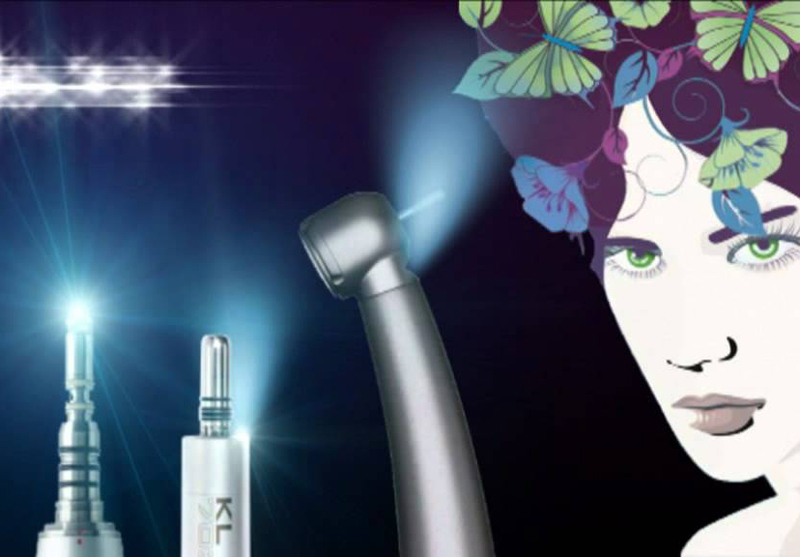 The automatic non-return valves, which are part of KaVo’s unique hygienic design and the Direct Stop Technology, effectively prevent contaminated dirt and particles from penetrating the head casing. Quiet operation: The most innovative solutions in bedding and kinetic dental technology to eliminate the particularly objectionable frequency peaks and a considerable reduction of noise intensity to 57dB(A). Compact: Its geometrically designed 100° head angle and 19° knee angle provides optimum access to the preparation area. Rapid stop – for safety. The new Direct Stop Technology (DST) reduces the stopping time of KaVo’s dental turbine MASTERtorque by approx. 60 % and stops in only one second**. Best conditions for completely safe and relaxed work. KaVo MASTERtorque – Maximum power. Whisper quiet. Optimal comfort. 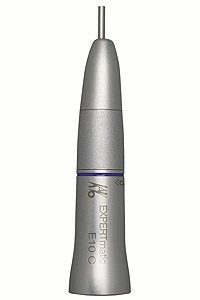 KaVo EXPERTtorque – improves work efficiency with immediate effect and for the future. This brings an extension of the warranty period with 18 months. Easier working in tighter treatment areas thanks to the new even smaller miniature head. Consequently, the guarantee is extended to 18 months. Start safe with affordable KaVo quality. Price first. Safety first. My first KaVo. Be smart and play safe with KaVo SMARTtorque turbines. KaVo SMARTtorque – Safe for you and your patient. KaVo SMARTtorque – KaVo Standards at a modest price. The temperature is always right. 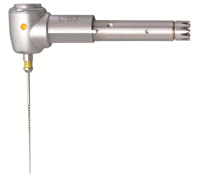 The four-port spray emits a fine mist of spray, ensuring that the instrument is always optimally cooled – right up to the bur tip (Mini version: single jet spray). Simple operation with the KaVo, solid glass-rod light-conductor, with 25,000 LUX at the bur tip. Securely held bur or instrument, thanks to the KaVo chucking system, with up to 30 N chuck retention force – no loosening or slipping of the rotating instrument. As clean as a whistle. KaVo instruments can be washed (in a Miele thermodinsinfector) and sterilised at up to 135°C in autoclaves. Efficient and fast preparation thanks to 16 Watt output of Standard version (Mini version: 12 Watt). KaVo cartridges with ceramic bearings, for standard and miniature headed turbines. Complete compatibility. SMARTtorque is compatible with all couplings of the KaVo MULTIflex systems, which means that it can be used with any treatment unit. The KaVo SURGtorque features 19 W of cutting power for faster preps, side and rear exhaust to help increase patient safety, and enduring KaVo quality. A new angle that‘s distinctively KaVo. 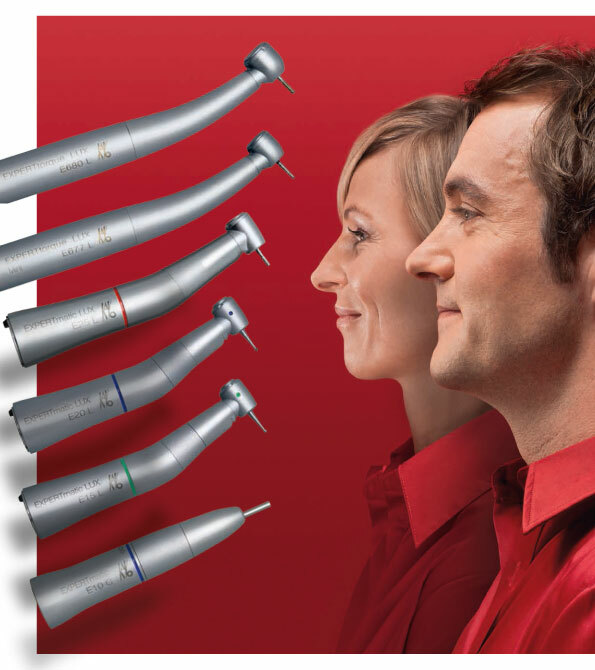 KaVo MASTERmatic straight & contra-angle dental handpieces – perfect access and visibility with KaVo. Successor of the legendary GENTLEpower LUX series. The inner values are of the essence. KaVo MASTERmatic M05 L Mini – The combination of head size, angle combination, hard metal bur guide, Triple Gear and exchangeable spray fi lter makes for the best high-speed contra-angle handpiece that is commercially available. 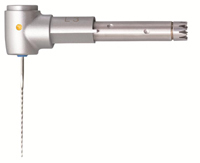 KaVo MASTERmatic M25 L – The combination of head size, angle combination, hard metal bur guide, Triple Gear and exchangeable spray fi lter makes for the best high-speed contra-angle handpiece that is commercially available. 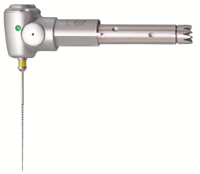 Compose your handpiece to suit your needs. 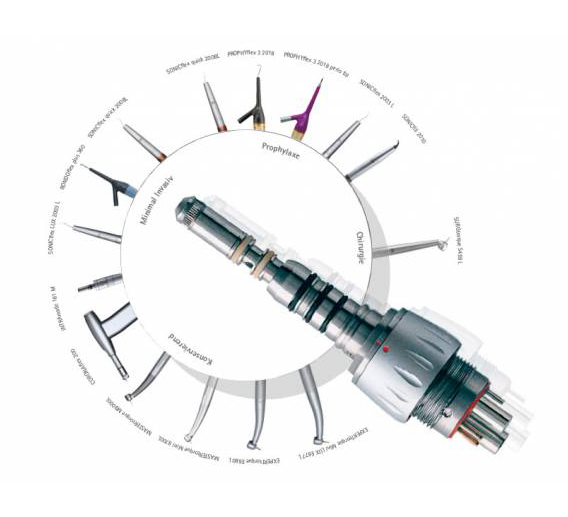 Start with our contra-angle handpiece shanks in all common transmission ratios. Combine them with the INTRA head you need. Your personal optimal solution. KaVo MASTERmatic shanks – unlimited versatility. Best reliability. Always ready to use thanks to the replaceable spray microfilter. Fast cleaning and efficient grip thanks to the new KaVo EXPERTgrip surface and the new smoother shape now without crevices. On track for the entire practice. KaVo original ceramic ball bearings guarantee a much longer than average service life and excellent, vibration-free operation. Reliable and handy; with a retention power of upt to 30 Newton, the KaVo pushbutton chuck system holds the bur securely in place, thereby facilitating complete ease of use. The temperature is always right. The 3-port spray emits a fine mist of spray, ensuring that the instrument is always optimally cooled – right up to the bur tip. A perfect view. With 25,000 LUX, the glass rod fibre-optic bundle of EXPERTmatic illuminates the preparation area perfectly – with not a shadow to be seen. KaVo INTRAmatic ES dental handpieces – your introduction into the KaVo world. Dental instruments with spray and INTRAmatic connection. 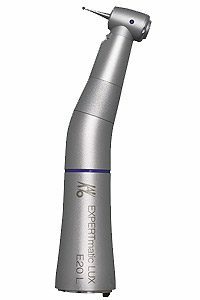 KaVo INTRAmatic E dental handpieces: The perfect introduction into the world of KaVo. Without spray but great ergonomy, hgyiene and design – Made by KaVo. INTRAmatic E instruments can be thermally disinfected, sterilised in autoclaves at temperatures of up to 135°C (275° F) and can also be washed in the Miele thermodisinfector. Highly flexible – KaVo INTRA heads fit all KaVo GENTLEpower LP and older LN/LH/CN/CH shanks. Thanks to the KaVo quick-action safety retention collar, the heads can be simply and quickly removed from the shank and exchanged. For root canal instruments with 2.35 mm shaft diameter. KaVo COMFORTdrive 200 XD combines the advantages of turbines and speed increasing dental handpieces with high-speed instruments in a unique solution. The KaVo COMFORTdrive represents a generation of dental instruments that combine the advantages of turbines and speed increasing handpieces with high-speed instruments in a unique solution. 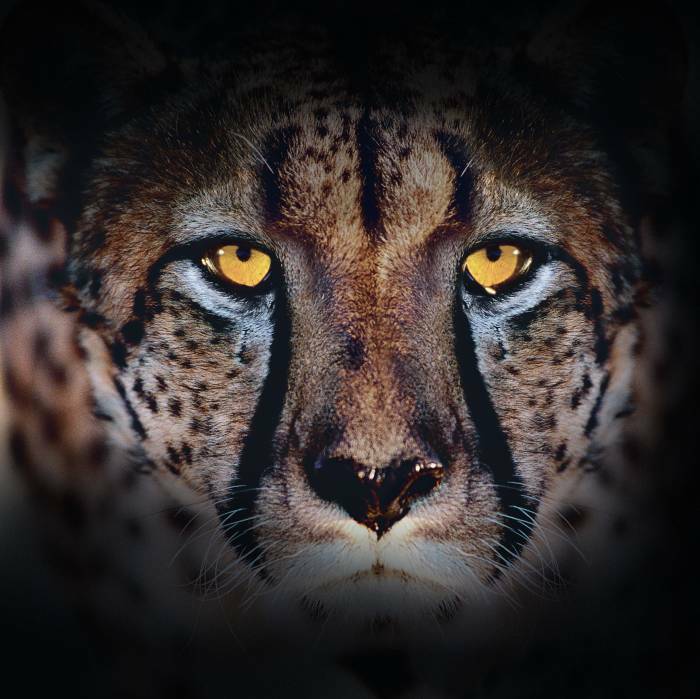 Nothing symbolises the KaVo COMFORTdrive better than the Gepard: The perfect symbiosis of performance, speed and lightness. With the KaVo COMFORTdrive, we have succeeded in setting a new standard in ergonomics, weight and performance for electrically operated instruments. An extremely useful instrument that optimally balances performance and lightness. For noticeably easier, more efficient and relaxed working. 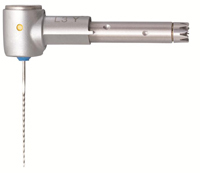 1928: The world’s first sterilisable handpiece originates from KaVo. 1958: With the Borden Air 60, KaVo introduces the first turbine on the market. 1977: The KaVo MULTIflex sets a new standard as the first quick coupling. 1982: KaVo is the first supplier to introduce fibre-optic conductors in the turbine. 2005: GENTLEsilence – the quietest turbine in the world. 2007: KaVo COMFORTdrive – the world’s first contra-angle handpiece with an integrated electric motor for precise work without tiring. Our great strength has always been to use innovative ideas to set extraordinary standards to make your work easier. We wish to continue this tradition. The KaVo COMFORTbase is the intelligent coupling element for the KaVo COMFORTdrive. The light source integrated in the interface and the glass rod light conductor provides precise, shadow-free illumination of every preparation field with 25,000 LUX. The individual use of spray air and water and cooling air is optimally regulated with the KaVo COMFORTbase. A majority of all preparation tasks in dentistry is performed with heavy, high-speed instruments. Long treatment times are generally associated with fatigue and stress on one side. Those times are now over. By integrating the motor, the overall length of the KaVo COMFORTdrive was reduced 20% in comparison to conventional instruments. This was achieved by dispensing with the transmission gear in the instrument. Small and handy – treatments are easier and more precise. 40% less weight for relaxed work in the high-speed range. The motor is directly integrated in the instrument for superior balance and less hand and finger stress – especially noticeable in longer preparations. The instrument length is reduced 20% for perfect ergonomics and grip. Perfectly harmonised four exceptional treatment comfort. KaVo MULTIflex coupling: Just a “Click” does the trick! instruments. What’s more: the superb adaptability of the MULTIflex-System guarantees you high efficiency through an extensive range of instruments. KaVo MULTIflex couplings: Simple and fast. Depending on the range of indications, almost all air-driven KaVo products will fit a MULTIflex coupling. This means for you: Quick exchange of the work equipment and high cost-effectiveness when extending your range of instruments. As a matter of course each dental instrument can be ergonomically rotated 360° on the MULTIflex coupling. Just a “Click” does the trick! This means for you: Quick exchange of the work equipment and high cost-effectiveness when extending your range of instruments. 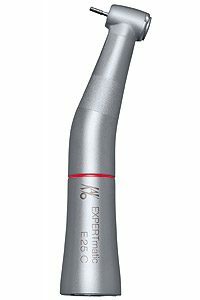 As a matter of course each dental instrument can be ergonomically rotated 360° on the MULTIflex coupling. Electric powered and air-driven motors from KaVo are constant -torque firmly over the entire speed range. With the new KaVo SMARTdrive you immediately obtain more comfort and more power as standard and at no extra cost. Thanks to the pilot drive, the torque is much higher even in the low speed range. With the KaVo Treatment Centres, ESTETICA E80, E70, E50, E30 and PRIMUS 1058, the new generation of motor control, KaVo SMARTdrive, now comes as standard. KaVo offers you a real innovation that you will appreciate. Thanks to the new pilot drive, the torque is much higher even in the low speed range. This supports safe and precise operation, which in turn reduces treatment times. KaVo SMARTdrive offers especially vibration-free startup characteristics in the low speed range from as little as only 100 revolutions per minute. This enables especially quiet, controlled running for steadier and more efficient work. Flexible, elastic and easily rotatable. The newly developed tubing maximizes the handling and facilitates your work. New lubricant filter: The special protective barrier against contamination. All cleaning and care agents are trapped so that they do not reach the inside of the motor. The KaVo MULTI LED is the easiest and quickest way to convert to LED illumination. The KaVo MULTI LED is especially tailored to your needs. In addition to optimal light quality for your instruments, the KaVo MULTI LED offers the easiest, most flexible and economical way to control the LED light, on the market. 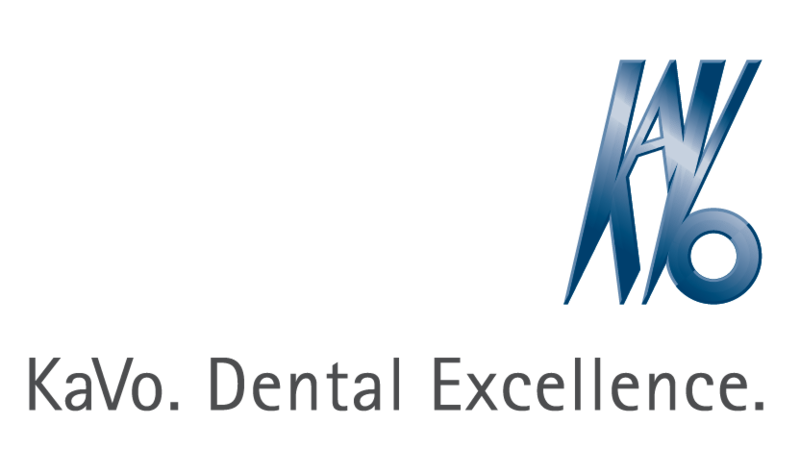 LEDs are everywhere, but only the LED by KaVo provides superior dental illumination. LED for all instruments – as usual, uniform light for all applications.